(318) Reinisch, B., and D. Bilitza, (eds. ), The International Reference Ionosphere (IRI) at Equatorial Latitudes (2017), Advances in Space Research, Volume 60, Issue 2, Pages 205-498, 15 July 2017. (316) Gerzen, T., J. Feltens, N. Jakowski, I. Galkin, B. Reinisch, R. Zandbergen (2016), Analysis of the IMAGE RPI electron density data and CHAMP plasmasphere electron density reconstructions with focus on plasmasphere modelling, Advances in Space Research, 15 Septemeber 2016, Vol 58, 6, 856-866, doi:10.1016/j.asr.2016.05.031. (315) Huang, X., B.W. Reinisch, G.S. Sales, V.V. Paznukhov, and I.A. Galkin (2016), Comparing TID simulations using 3-D ray tracing and mirror reflection, Radio Sci., 51, 337–343, doi:10.1002/2015RS005872. (314) Adekoya, B.J., V.U. Chukwuma, and B.W. Reinisch (2015), Ionospheric vertical plasma drift and electron density response during total solar eclipses at equatorial/low latitude, J. Geophys. Res. Space Physics, 120, doi:10.1002/2015JA021557. (313) Belehaki, A., I. Kutiev, B. Reinisch, N. Jakowski, P. Marinov, I. Galkin, C. Mayer, I. Tsagouri, and T. Herekakis (2015) Verification of the TSMP-Assisted Digisonde Topside Profiling Technique, Acta Geophysica, vol. 58, no. 3, oo. 432-452 doi:10.2478/s11600-009-0052-3. (312) Bilitza D. and B. Reinisch (eds. ), International Reference Ionosphere and Global Navigation Satellite Systems, Advances in Space Research, Volume 55, Issue 8, 15 April 2015. (311) Rastogi, R.G., H. Chandra, A.C. Das, R. Sridharan, B.W. Reinisch, K. Ahmed, S.L. Fontes, J.A.A. Sanchez (2015), Asian Journal of Physics, Vol. 24, No 11 (2015) 1507-1521, Asian Jounrnal of Physics Link. (310) Wang, G.J., J.K. Shi, B.W. Reinisch, X. Wang, and Z. Wang (2015), Ionospheric plasma bubbles observed concurrently by multi-instruments over low-latitude station Hainan. J. Geophys. Res. Space Physics, 120, 2288–2298. doi: 10.1002/2014JA020245. (309) Adeniyi, J.O., B.O. Adebesin, I.A. Adimula, O.A. Oladipo, A.O. Olawepo, S.O. Ikubanni, B.W. Reinisch (2014), Comparison between African equatorial station ground-based inferred vertical E × B drift, Jicamarca direct measured drift, and IRI model, Advances in Space Research, 18 June 2014 doi:10.1016/j.asr.2014.06.014. (308) Adeniyi, J.O., Isaac A. Adimula, Babatunde O. Adebesin, Bodo W. Reinisch, Olusola A. Oladipo, Olayinka Olawepo, Kiyohumi Yumoto (2014), Quantifying the EEJ current with ground-based ionosonde inferred vertical E × B drifts in the morning hours over Ilorin, West Africa, Acta Geophysica, vol. 62, no. 3, June 2014, pp. 656-678 doi:10.2478/s11600-014-0202-0. (307) Bilitza, D., D. Altadill, Y. Zhang, C. Mertens, V. Truhlik, P. Richards, L.A. McKinnell, and B. Reinisch (2014): The International Reference Ionosphere 2012 – a model of international collaboration, J. Space Weather Space Clim. 4, A07, doi:10.1051/swsc/2014004. (306) Denton, R.E., K. Takahashi, M.F. Thomsen, J.E. Borovsky, H.J. Singer, Y. Wang, J. Goldstein, P.C. Brandt, and B.W. Reinisch (2014), Evolution of mass density and O+ concentration during Storm and Quiet Events, J. Geophys. Res. Space Physics, 119, 8, 6417-6431, doi:10.1002/2014JA019888. (305) Handzo, R., J.M. Forbes, B.W. Reinisch (2014), Ionospheric Electron Density Response to Solar Flares as Viewed by Digisondes, Space Weather doi:10.1002/2013SW001020. (304) Ozhogin, P., P. Song, J. Tu, and B.W. Reinisch (2014), Evaluating the diffusive equilibrium models: Comparison with the IMAGE RPI field-aligned electron density measurements, J. Geophys. Res. Space Physics, 119, 4400–4411, doi:10.1002/2014JA019982. (303) Rastogi, R.G., H. Chandra, P. Janardhan, Thai Lan Hoang, Louis Condori, T.K. Pant, D.S.V.V.D. Prasad, et al. (2014). Spread-F during the magnetic storm of 22 January 2004 at low latitudes: Effect of IMF-Bz in relation to local sunset time. Journal of Earth System Science. vol. 123, 6, 1273-1285, doi:10.1007/s12040-014-0467-3. (302) Reinisch, B.W. (2014), Karl Rawer: space research and international cooperation – Laudation on the occasion of the 100th birthday of Professor Karl Rawer, Adv. Radio Sci., 12, 221-223, doi:10.5194/ars-12-221-2014. (301) Adebesin, B.O., J.O. Adeniyi, I.A Adimula, B.W. Reinisch (2013), Equatorial vertical plasma drift velocities and electron densities inferred from ground-based ionosonde measurements during low solar activity, J. Atmos. Solar-Terr. Phys., 97, 58-64, doi:10.1016/j.jastp.2013.02.010. (300) Adebesin, B.O., J.O. Adeniyi, I.A Adimula, B.W. Reinisch, (2013). Low latitude nighttime ionospheric vertical E x B drifts at African region. Adv. Space Res. 52 (12), 2226–2237. doi:10.1016/j.asr.2013.09.033. (299) Adebesin, B.O., J.O. Adeniyi, I.A. Adimula, B.W. Reinisch, K. Yumoto (2013), F2 layer characteristics and electrojet strength over an equatorial station, Adv. Space Res., 52, 5, 791-800, doi:10.1016/j.asr.2013.05.025. (298) Benson, R.F., A.F. Viñas, V.A. Osherovich, J. Fainberg, C.M. Purser, M.L. Adrian, I.A. Galkin, and B.W. Reinisch (2013), Magnetospheric electron-velocity-distribution function information from wave observations, J. Geophys. Res. Space Physics, 118, 5039–5049, doi:10.1002/jgra.50459. (297) Bilitza, D., and B. Reinisch (eds. ), Representation of the Auroral and Polar Ionosphere in the International Reference Ionosphere, Advances in Space Research, Volume 51, Number 4, February 2013. (296) Chuo, Y.J., Lee, C.C., Chen, W.S., and Reinisch, B.W. (2013), Comparison of the characteristics of ionospheric parameters obtained from FORMOSAT-3 and digisonde over Ascension Island, Ann. Geophys., 31, 787-794, doi:10.5194/angeo-31-787-2013. (295) Fung, S.F., K. Hashimoto, H. Kojima, S.A. Boardsen, L.N. Garcia, H. Matsumoto, J.L. Green, and B.W. Reinisch (2013), Terrestrial myriametric radio burst observed by IMAGE and Geotail satellites, J. Geophys. Res. Space Physics, 118, doi:10.1002/jgra.50149. (294) Galushko, V.G., V.G. Bezrodny, A.V. Koloskov, V.V. Paznukhov, and B.W. Reinisch (2013), HF wave scattering by field-aligned plasma irregularities considering refraction in the ionosphere, Radio Sci.,48, 180–189, doi:10.1029/2012RS005072. (293) Abdu, M.A., I.S. Batista, F. Bertoni, B.W. Reinisch, E.A. Kherani, and J.H.A. Sobral (2012),Equatorial ionosphere responses to two magnetic storms of moderate intensity from conjugate point observations in Brazil, J. Geophys. Res., 117, A05321, doi:10.1029/2011JA017174. (292) Batista, I.S., M.A. Abdu, P.A.B. Nogueira, R.R. Paes, J.R. de Souza, B.W. Reinisch, and V.H. Rios (2012), Early morning enhancement in ionospheric electron density during intense magnetic storms, Adv. Space Res., 49, 1544–1552, doi:10.1016/j.asr.2012.01.006. (291) Belehaki, A., I. Kutiev, B. Reinisch, N. Jakowski, P. Marinov, I. Galkin, C. Mayer, I. Tsagouri, T. Herekakis (2012), Verification of the TSMP-assisted digisonde topside profiling technique, Acta Geophysica, 04/2012. 432-452, doi:10.2478/s11600-009-0052-3. (290) Denton, R.E., Y. Wang, P.A. Webb, P.M. Tengdin, J. Goldstein, J. Redfern, and B. Reinisch (2012), Magnetospheric electron density long term (> 1 day) refilling rates inferred from passive radio emissions measured by IMAGE RPI during geomagnetically quiet times, J. Geophys. Res., 117, A03221, doi:10.1029/2011JA017274. (289) Galkin, I.A., B.W. Reinisch, X. Huang, and D. Bilitza (2012), Assimilation of GIRO Data into a Real-Time IRI, Radio Sci., 47, RS0L07, doi:10.1029/2011RS004952. (288) Huang, X. and B. Reinisch (2012), Excited spherical waves in unbounded cold magneto-plasma and applications in radio sounding, Radio Sci., 47, RS0L08, doi:10.1029/2011RS004940. (287) Lee, C.C., and B.W. Reinisch (2012), Variations in equatorial F2-layer parameters and comparison with IRI-2007 during a deep solar minimum, J. Atmos. Solar-Terr. Phys., 74, 217-223, doi:10.1016/j.jastp.2011.11.002. (286) Nsumei, P., B.W. Reinisch, X. Huang, and D. Bilitza (2012), New Vary-Chap profile of the topside ionosphere electron density distribution for use with the IRI Model and the GIRO real time data, Radio Sci., doi:10.1029/2012RS004989. (285) Ozhogin, P., J. Tu, P. Song, and B.W. Reinisch (2012), Field-aligned distribution of the plasmaspheric electron density: An empirical model derived from the IMAGE RPI measurements, J. Geophys. Res., 117, A06225, doi:10.1029/2011JA017330. (284) Paznukhov, V.V., V.G. Galushko, A.S. Kascheev, and B.W. Reinisch (2012), Digisonde observations of AGWs/TIDs with Frequency and Angular Sounding Technique, Adv. Space. Res., 49(4), 700-710, doi:10.1016/j.asr.2011.11.012. (283) Rastogi, R.G., H. Chandra, Louis Condori, M.A. Abdu, B. Reinisch, R.T. Tsunoda, D.S.V. V.D. Prasad, T.K. Pant, and T. Maruyama (2012), Abnormally large magnetospheric electric field on 9 November 2004 and its effect on equatorial ionosphere around the world, J. Earth Syst. Sci. 121, No. 5, Oct. 2012, pp. 1145–1161. (282) Reinisch, B., D. Bilitza, and S. Watanabe (eds. ), International Reference Ionosphere (II), Earth, Planets and Space, Volume 64, Issue 6, 2012. (281) Vartanyan, A., G.M. Milikh, E. Mishin, M. Parrot, I. Galkin, B. Reinisch, J. Huba, G. Joyce, and K. Papadopoulos (2012), Artificial ducts caused by HF heating of the ionosphere by HAARP, J. Geophys. Res., 117, A10307, doi:10.1029/2012JA017563. (280) Zhao, B., Wan, W., Lei, J., Wei, Y., Sahai, Y., and Reinisch, B. (2012), Positive ionospheric storm effects at Latin America longitude during the superstorm of 20–22 November 2003: revisit, Ann. Geophys., 30, 831-840, doi:10.5194/angeo-30-831-2012. (279) Abdu, M.A., I.S. Batista, F. Bertoni, B.W. Reinisch, E.A. Kherani, and J.H.A. Sobral (2011), Equatorial Ionosphere Responses to Two Magnetic Storms of Moderate Intensity from Conjugate Point Observations in Brazil, J. Geophys. Res., 117, A05321, doi:10.1029/2011JA017174. (278) Aragon-Angel, A., Y.-A. Liou, C.-C. Lee, B.W. Reinisch, M. Hernez-Pajares, M. Juan, and J. Sanz (2011), Improvement of retrieved FORMOSAT-3/COSMIC electron densities validated by using Jicamarca DPS measurements, Radio Sci., 46, RS5001, doi:10.1029/2010RS004578. (277) Bilitza, B., L. McKinnell, B.W. Reinisch, and T. Fuller-Rowell (2011), The International Reference Ionosphere (IRI) today and in the future, Journal of Geodesy, 85,12, 909-920, doi:10.1007/s00190-010-0427-x. (276) Chuo, Y.-J., C.-C. Lee, W.S. Chen and B.W. Reinisch (2011), Comparison between bottomside ionospheric profile parameters retrieved from FORMOSAT3 measurements and ground-based observations collected at Jicamarca, J. Atmos. Solar Terr. Phys., 73, 1665-1673, doi:10.1016/j.jastp.2011.02.021. (275) Lee, C.C., B.W. Reinisch (2011), Variations in equatorial F2-layer parameters and comparison with IRI-2007 during a deep solar minimum, J. Atmos. Solar Terr. Phys., doi:10.1016/j.jastp.2011.11.002. (274) Mishin, E., I. Galkin, E. Stutton, C. Roth, M. Forster, B. Reinisch, and G. Milikh (2011), Observations of HF heating induced ionospheric/thermospheric perturbations over HAARP, Geophys. Res. Lett., submitted. (273) Morioka, A., et al. (2011), On the simultaneity of substorm onset between two hemispheres, J. Geophys. Res., 116, A04211, doi:10.1029/2010JA016174. (272) Pedersen, T., McCarrick, M., Reinisch, B., Watkins, B., Hamel, R., and V. Paznukhov, (2011), Production of artificial ionospheric layers by frequency sweeping near the 2nd gyroharmonic, Ann. Geophys., 29, 47-51, doi:10.5194/angeo-29-47-2011. Earth Planets Space, vol. 63 no. 4 pp. 377-381, doi:10.5047/eps.2011.03.001. (270) Reinisch, B., D. Bilitza and S. Watanabe (eds.) (2011), International Reference Ionosphere (I), Earth, Planets and Space, Volume 63, Issue 4, 2011. (269) Shi, J.K., G.J. Wang, B.W. Reinisch, S.P. Shang, X. Wang, G. Zherebotsov, and A. Potekhin (2011), Relationship between strong range spread F and ionospheric scintillations observed in Hainan from 2003 to 2007, J. Geophys. Res., 116, doi:10.1029/2011JA016806. (268) Sonwalkar, V.S., D.L. Carpenter, A. Reddy, R. Proddaturi, S. Hazra, K. Mayank, and B.W. Reinisch (2011), Magnetospherically reflected, specularly reflected, and backscattered whistler mode radio-sounder echoes observed on the IMAGE satellite: 1. Observations and interpretation, J. Geophys. Res., 116, A11210, doi:10.1029/2011JA016759. (267) Zhai, Y., S. Cummer, J. Green, B. Reinisch, M. Kaiser, M.J. Reiner, and K. Goetz, Magnetospheric radio tomographic imaging with IMAGE and WIND (2011), J. Geophys. Res. 116, A12208, doi:10.1029/2011JA016743. (266) Zhao, B., W. Wan, B. Reinisch, X. Yue, H. Le, J. Liu, and B. Xiong (2011), Features of the F3 layer in the low-latitude ionosphere at sunset, J. Geophys. Res., 116, A01313, doi:10.1029/2010JA016111. (265) Bilitza, D. and B. Reinisch (eds. ), International Reference Ionosphere - Progress in Ionospheric Modelling, Advances in Space Research, Volume 46, Number 8, October 2010. (264) Fu, H.S., J. Tu, J.B. Cao, P. Song, B.W. Reinisch, D.L. Gallagher, and B. Yang (2010), IMAGE and DMSP observations of a density trough inside the plasmasphere, J. Geophys. Res., 115, A07227, doi:10.1029/2009JA015104. (263) Fu, H.S., J. Tu, P. Song, J.B. Cao, B.W. Reinisch, and B. Yang (2010), The nightside-to-dayside evolution of the inner magnetosphere: Imager for Magnetopause-to-Aurora Global Exploration Radio Plasma Imager observations, J. Geophys. Res., 115, A04213, doi:10.1029/2009JA014668. (262) Milikh, G.M., E. Mishin, I. Galkin, A. Vartanyan, C. Roth, and B.W. Reinisch (2010), Ion outflows and artificial ducts in the topside ionosphere at HAARP, Geophys. Res. Lett., 37, L18102, doi:10.1029/2010GL044636. (261) Nsumei, P.A., B.W. Reinisch, X. Huang, and D. Bilitza (2010), Comparing topside and bottomside measured characteristics of the F2 layer peak, Adv. Space Res., 46, 974–983, doi:10.1016/j.asr.2010.06.027. (260) Paznukhov, V.V., G.S. Sales, K. Bibl, B.W. Reinisch, P. Song, X. Huang, and I. Galkin (2010), Impedance characteristics of an active antenna at whistler mode frequencies, J. Geophys. Res., 115, A09212, doi:10.1029/2009JA014889. (259) Zong, Q.-G., B.W. Reinisch, P. Song, Y. Wei, and I.A. Galkin (2010), Dayside ionospheric response to the intense interplanetary shocks–solar wind discontinuities: Observations from the digisonde global ionospheric radio observatory, J. Geophys. Res., 115, A06304, doi:10.1029/2009JA014796. (258) Abdu, M.A., I.S. Batista, B.W. Reinisch, J.R. de Souza, J.H.A. Sobral, T.R. Pedersen, A.F. Medeiros, N.J. Schuch, E.R. de Paula, and K.M. Groves (2009), Conjugate point equatorial experiment (COPEX) campaign in Brazil : Electrodynamics highlights on spread F development conditions and day-to-day variability, J. Geophys. Res., 114, A04308, doi:10.1029/2008JA013749. (257) Ayub, M., S. Iqbal, M.A. Ameen, and B.W. Reinisch (2009), Study of maximum electron density NmF2 at Karachi and Islamabad during solar minimum (1996) and solar maximum (2000) and its comparison with IRI, Adv. Space Res., 43, 11, 1821-1824 doi:10.1016/j.asr.2008.09.034. (256) Bilitza, D., Jan Lastovicka, and B. Reinisch (eds. ), Ionosphere - Modelling, Forecasting and Telecommunications I, Adv. Space Res., Volume 43, Number 11, June 2009. (255) Darrouzet, Fabien, Dennis L. Gallagher, Nicolas Andre, Donald L. Carpenter, Iannis Dandouras Pierrette M.E. Décréau, Johan De Keyser, Richard E. Denton, John C. Foster, Jerry Goldstein, Mark B. Moldwin, Bodo W. Reinisch, Bill R. Sandel, and Jiannan Tu (2009), Plasmaspheric density structures and dynamics: Properties observed by the CLUSTER and IMAGE missions, Space Sci. Rev., 145, 55–106 doi:10.1007/s11214-008-9438-9. (254) Kutiev, I, P. Marinov, A. Belehaki, B. Reinisch and N. Jakowski (2009), Reconstruction of topside density profile by using the topside sounder model profiler and digisonde data, Adv. Space Res., 43, 1683–1687 doi:10.1016/j.asr.2008.08.017. (253) Lin, C. H., A.D. Richmond, J.Y. Liu, G. J. Bailey, and B.W. Reinisch (2009), Theoretical study of new plasma structures in the low-latitude ionosphere during a major magnetic storm, J. Geophys. Res., 114, A05303, doi:10.1029/2008JA013951. (252) Paznukhov, V.V., D. Altadill, and B.W. Reinisch (2009), Experimental evidence for the role of the neutral wind in the development of ionospheric storms in midlatitudes, J. Geophys. Res., 114, A12319, doi:10.1029/2009JA014479. (251) Ram, S. Tulasi S.-Y. Su, C.H. Liu, B.W. Reinisch, and Lee-Anne McKinnell (2009), Topside ionospheric effective scale heights (HT) derived with ROCSAT-1 and ground-based ionosonde observations at equatorial and midlatitude stations, J. Geophys. Res., 114, A10309, doi:10.1029/2009JA014485. (250) Reinisch, B., D. Bilitza, and Jan Lastovicka (eds. ), Ionosphere - Modelling, Forecasting and Telecommunications II, Advances in Space Research, Volume 44, Number 6, September 2009. (249) Reinisch, B.W., I.A. Galkin, G.M. Khmyrov, A.V. Kozlov, K. Bibl, I.A. Lisysyan, G.P. Cheney, X. Huang, D.F. Kitrosser, V.V. Paznukhov, Y. Luo, W. Jones, S. Stelmash, R. Hamel, and J. Grochmal (2009), The New Digisonde for Research and Monitoring Applications, Radio Sci., 44 RS0A24, doi:10.1029/2008RS004115. (248) Reinisch, B.W., Mark B. Moldwin, Richard E. Denton, Dennis L. Gallagher, Hiroshi Matsui, Viviane Pierrard, and Jiannan Tu (2009), Augmented Empirical Models of Plasmaspheric Density and Electric Field using IMAGE and CLUSTER Data, Space Sci. Rev., 145, 231-261, doi:10.1007/s11214-008-9481-6. (247) Yuan, Z.-G., X.-H. Deng, S.-R. Zhang, W.-X. Wan, and B.W. Reinisch (2009), F region behavior in the SED plume during a geomagnetic superstorm: A case study, J. Geophys. Res., 114, A08303, doi:10.1029/2008JA013841. (246) Abdu, M.A.A., E.R. de Paula, I.S. Batista, B.W. Reinisch, M. Matsuoka, P. Camargo, O. Veliz, C.M. Denardini, J.H.A. Sobral, E.A. Kherani, and P. Sequeira (2008), Abnormal evening vertical plasma drift and effects on ESF and EIA over Brazil-South Atlantic sector during the October 30, 2003 super-storm, J. Geophys. Res., 113, A07313, doi:10.1029/2007JA012844. (245) Batista, I.S., M.A. Abdu, A.J. Carrasco, B.W. Reinisch, E.R. de Paula, N.J. Schuch, and F. Bertoni (2008), Equatorial spread F and sporadic E-layer connections during the Brazilian Conjugate Point Equatorial Experiment (COPEX), J. Atmos. Solar-Terr. Phys., 70, 8-9, 1133-1143 doi:10.1016/j.jastp.2008.01.007. (244) Bilitza, D., and B.W. Reinisch (2008), International Reference Ionosphere 2007: Improvements and new parameters, Adv. Space Res., 42, 4, 599-609 doi:10.1016/j.asr.2007.07.048. (243) Bilitza, D., B. Reinisch (eds.) (2008), International Reference Ionosphere and Solar Activity Variations, Advances in Space Research, Volume 42, Number 4, Aug 2008. (242) Boardsen, S.A., J.L. Green, and B.W. Reinisch (2008), Comparison of kilometric continuum latitudinal radiation patterns with linear mode conversion theory, J. Geophys. Res., 113, A01219, doi:10.1029/2007JA012319. (241) Galkin, I.A. and B.W. Reinisch (2008), The new ARTIST 5 for all digisondes, INAG Bulletin, No. 24. (240) Galkin, I.A., G.M. Khmyrov, A.V. Kozlov, and B.W. Reinisch (2008), Intelligent resident archive for RPI Level 2 data, in Radio Sounding and Plasma Physics, AIP Conf. Proc. 974, 111-117 doi:10.1063/1.2885020. (239) Galkin, I.A., B.W. Reinisch, and X. Huang (2008), A tribute to the ARTIST, in Radio Sounding and Plasma Physics, AIP Conf. Proc. 974, 34-38 doi:10.1063/1.2885029. (238) Galkin, I.A., G.M. Khmyrov, A.V. Kozlov, B.W. Reinisch, X. Huang, and V.V. Paznukhov (2008), The ARTIST 5, in Radio Sounding and Plasma Physics, AIP Conf. Proc. 974, 150-159 doi:10.1063/1.2885024. (237) Galkin, I.A., G.M. Khmyrov, B.W. Reinisch, and J. McElroy (2008), The SAOXML 5: New format for ionogram-derived data, in Radio Sounding and Plasma Physics, AIP Conf. Proc. 974, 160-166 doi:10.1063/1.2885025. (236) Galushko, V.G., A.S. Kascheev, V.V. Paznukhov, Yu. M. Yampolski, and B.W. Reinisch (2008), Frequency-and-angular sounding of traveling ionospheric disturbances in the model of three-dimensional electron density waves, Radio Sci., 43, RS4013, doi:10.1029/2007RS003735. (235) Galushko, V.G., A.V. Koloskov, V.V. Paznukhov, B.W. Reinisch, G.S. Sales, Y.M. Yampolski, and A.V. Zalizovsky (2008), Self-scattering of the HF heater emissions observed at geographically dispersed receiving sites, IEEE Antennas and Propagation Magazine, vol. 50, no. 6, pp. 155-161, Dec. 2008. (234) Khmyrov, G.M., I.A. Galkin, A.V. Kozlov, B.W. Reinisch, J. McElroy, and C. Dozois (2008), Exploring digisonde ionogram data with SAO-X and DIDBase, in Radio Sounding and Plasma Physics, AIP Conf. Proc. 974, 175-185 doi:10.1063/1.2885027. (233) Krause, L.H., R. Balthazor, M.G. McHarg, and B.W. Reinisch (2008), Development of a campaign to study equatorial ionospheric phenomena over Guam, Adv. Space Res., 42, 4, 791-796 doi:10.1016/j.asr.2008.01.021. (232) Lee, C.C., S.-Y. Su, and B.W. Reinisch (2008), An upward-moving thin layer in the equatorial F region observed by a digisonde, J. Geophys. Res., 113, A10302, doi:10.1029/2008JA013404. (231) Lee, C.C. and B.W. Reinisch (2008), Quiet-time variations of F2 layer parameters at Jicamarca and comparison with IRI-2001 during solar minimum, J. Atmos. Solar-Terr. Phys., 70, 184–192 doi:10.1016/j.jastp.2007.10.008. (230) Lei, J., W. Wang, A.G. Burns, S.C. Solomon, A.D. Richmond, M. Wiltberger, L.P. Goncharenko, A. Coster, and B.W. Reinisch (2008), Observations and simulations of the ionospheric and thermospheric response to the December 2006 geomagnetic storm: Initial phase, J. Geophys. Res., 113, A01314, doi:10.1029/2007JA012807. (229) McNamara, Leo F., John M. Retterer, M.A. Abdu, Inez S. Batista, and Bodo W. Reinisch (2008), F2 Peak parameters, drifts and spread F derived from digisonde ionograms for the COPEX campaign in Brazil, J. Atmos. Solar-Terr. Phys., 70, 1144–1158, doi:10.1016/j.jastp.2008.02.001. (228) Nsumei, P.A., B.W. Reinisch, P. Song, J. Tu, and X. Huang (2008), Polar cap electron density distribution from IMAGE radio plasma imager measurements: Empirical model with the effects of solar illumination and geomagnetic activity, J. Geophys. Res., 113(A1), A01217, doi:10.1029/2007JA012566. (227) Nsumei, P A., P. Song, B.W. Reinisch, J. Tu, and X. Huang (2008), Ionospheric electron upflow in the polar cap region: Derived from ISIS 2 measurements, J. Geophys. Res., 113(A3), A03312, doi:10.1029/2007JA012567. (226) Reinisch, B.W., I.A. Galkin, G.M. Khmyrov, A.V. Kozlov, I.A. Lisysyan, K. Bibl, G. Cheney, D. Kitrosser, S. Stelmash, K. Roche, Y. Luo, V.V. Paznukhov, and R. Hamel (2008), Advancing digisonde technology: the DPS-4D, in Radio Sounding and Plasma Physics, AIP Conf. Proc. 974, 127-143 doi:10.1063/1.2885023. (225) Reinisch, B.W., V.V. Paznukhov, I.A. Galkin, D. Altadill, and J. McElroy (2008), Precise radar range measurements with digisondes, in Radio Sounding and Plasma Physics, AIP Conf. Proc. 974, 144-149, doi:10.1063/1.2885022. (224) Starks, M.J., R.A. Quinn, G.P. Ginet, J.M. Albert, G.S. Sales, B.W. Reinisch (2008), and P. Song, Illumination of the plasmasphere by terrestrial very low frequency transmitters: Model validation, J. Geophys. Res., 113, A09320, doi:10.1029/2006JA012139. (223) Tu, J., P. Song, and B.W. Reinisch (2008), On the concept of penetration electric field, in Radio Sounding and Plasma Physics, AIP Conf. Proc. 974, 81-85 doi:10.1063/1.2885036. (222) Tu, J., P. Song, and B.W. Reinisch (2008), Plasma sheath structures around a radio frequency antenna, J. Geophys. Res., 113(A7), A07223, doi:10.1029/2008JA013097. (221) Wang, X., Q. Sun, R. Eastes, B. Reinisch, and C.E. Valladares (2008), Short-term relationship of total electron content with geomagnetic activity in equatorial regions, J. Geophys. Res., 113(A11), A11308, doi:10.1029/2007JA012960. (220) Zong, Q.-G, B.W. Reinisch, P. Song, I. Galkin, and X.J. Liu (2008), Ionospheric Response to the Interplanetary Shock, in Radio Sounding and Plasma Physics, AIP Conf. Proc. 974, 52-57 doi:10.1063/1.2885033. (219) Carpenter, D.L., T.F. Bell, D. Chen, D.N.C. Baran, B.W. Reinisch, and I. Galkin, Proton cyclotron (PC) echoes and a new resonance observed by the RPI instrument on the IMAGE satellite, J. Geophys. Res., 112(A8), A08208, doi:10.1029/2007JA012139, 2007. (218) Lee, C.C. and B.W. Reinisch, Quiet-condition variations in the scale height at F2-layer peak at Jicamarca during solar minimum and maximum, Ann. Geophys., 25, 2541–2550, 2007. (217) McNamara, L.F., D.L. Cooke, C.E. Valladares, and B.W. Reinisch, Comparison of CHAMP and Digisonde plasma frequencies Jicamarca, Peru, Radio Sci., 42, RS2005, doi:10.1029/2006RS003491, 2007. (216) Osherovich, V.A., R.F. Benson, J. Fainberg, J.L. Green, L. Garcia, S. Boardsen, N. Tsyganenko, and B.W. Reinisch (2007), Enhanced high-altitude polar-cap plasma and magnetic-field values in response to the interplanetary magnetic cloud that caused the great storm of 31 March 2001: A case study for a new magnetospheric index, J. Geophys. Res., 112(A6), A06247, doi:10.1029/2006JA012105. (215) Paznukhov, V.V., B.W. Reinisch, P. Song, X. Huang, T.W. Bullett and O. Veliz, Formation of an F3 layer in the equatorial ionosphere: A result from strong IMF changes, J. Atmos. Solar-Terr. Phys., 69, 10-11, 1292-1304, 2007. (214) Reinisch, B., D. Bilitza, and D. Altadill (eds. ), New Satellite and Ground Data for IRI and Comparison with Regional Models, Advances in Space Research, Volume 39, Number 5, 2007. (213) Reinisch, B.W., P. Nsumei, X. Huang, and D.K. Bilitza, Modeling the F2 topside and plasmasphere for IRI using IMAGE/RPI, and ISIS data, Adv. Space Res., 39, 731-738, 2007. (212) Song, P., B.W. Reinisch, V. Paznukhov, G. Sales, D. Cooke, J.-N. Tu, X. Huang, K. Bibl, and I. Galkin, High-voltage antenna-plasma interaction in whistler wave transmission: Plasma sheath effects, J. Geophys. Res., 112(A3), A03205, doi:10.1029/2006JA011683, 2007. (211) Triskova, L., I. Galkin, V. Truhlik and B.W. Reinisch, Application of seamless vertical profiles for use in the topside electron density modeling, Adv. Space Res., 39, 774-778, 2007. (210) Tu, J., P. Song, B.W. Reinisch, and J. L.Green, Smooth electron density transition from plasmasphere to the subauroral region, J. Geophys. Res., 112(A5), A05227, doi:10.1029/2007JA012298, 2007. (209) Tu, J.-N., M. Dhar, P. Song, B.W. Reinisch, J.L. Green, R.F. Benson, and A.J. Coster, Extreme polar cap density enhancements along magnetic field lines during an intense geomagnetic storm, J. Geophys. Res., 112(A5), A05201, doi:10.1029/2006JA012034, 2007. (208) Wang, X., R. Eastes, B.W. Reinisch, S. Bailey, C.E. Valladares, T. Woods, Short-term relationship between solar irradiances and equatorial peak electron densities, J. Geophys. Res.,112(A6), A06310, doi:10.1029/2007JA012128, 2007. (207) Webb, R.F. Benson, R.E. Denton, J. Goldstein, L.N. Garcia, B.W. Reinisch, An inner-magnetospheric electron density database determined from IMAGE/RPI passive dynamic spectra. EOS Trans. AGU 88(52), SM12A-04, 2007. (206) Abdu, M.A., T.K. Ramkumar, I.S. Batista, C.G.M. Brum, H. Takahashi, B.W. Reinisch, and J.H.A. Sobral, Planetary wave signatures in the equatorial atmosphere-ionosphere system, and mesosphere- E- and F- region coupling, J. Atmos. Solar-Terr. Phys., 68, 509-522, 2006. (205) Abdu, M.A., P.P. Batista, I.S. Batista, C.G.M. Brum, A.J. Carrasco, and B.W. Reinisch, Planetary wave oscillations in mesospheric winds, equatorial evening prereversal electric field and spread F, Geophys. Res. Lett., 33(7), L07107, doi:10.1029/2005GL024837, 2006. (204) Abdu, M.A., I.S. Batista, B.W. Reinisch, J.H.A. Sobral, and A.J. Carrasco, Equatorial F-region evening vertical drift, and peak height, during southern winter months: A comparison of observational data with the IRI descriptions, Adv. Space Res., 37, 1007-1017, 2006. (203) Benson, R.F., P.A. Webb, J.L. Green, D.L. Carpenter, V.S. Sonwalkar, H.G. James, and B.W. Reinisch, Active wave experiments in space plasmas: The Z Mode, Geospace Electromagnetic Waves and Radiation, Lect. Notes Phys., 687, 3-35, 2006. (202) Bertoni, F., I.S. Batista, M.A. Abdu, B.W. Reinisch, and E.A. Kherani, A Comparison of ionospheric drift velocities measured by digisonde and incoherent scatter radar at the magnetic equator, J. Atmos. Solar-Terr. Phys., 68, 669-678, doi:10.1016/j.jastp.2006.01.002, 2006. (201) Bilitza, D., B.W. Reinisch, S. Radicella, S. Pulinets, T. Gulyaeva, and L. Triskova, Improvements of the International Reference Ionosphere model for the topside electron density profile, Radio Sci., 41(5), RS5S15, doi:10.1029/2005RS003370, 2006. (200) Bilitza, D. and B. Reinisch (eds. ), Advances in specifying plasma temperatures and ion composition in the ionosphere, Adv. Space Res., 37, 875, 2006. (199) Chen, W.S., C.C. Lee, J.Y. Liu, F.D. Chu, and B.W. Reinisch, Digisonde spread F and GPS phase fluctuations in the equatorial ionosphere during solar maximum, J. Geophys. Res., 111(A12), A12305, doi:10.1029/2006JA011688, 2006. (198) Denton, R.E., K. Takahashi, I.A. Galkin, P.A. Nsumei, X. Huang, B.W. Reinisch, R.R. Anderson, M.K. Sleeper, and W.J. Hughes, The distribution of density along magnetospheric field lines, J. Geophys. Res., 11(A4), A04213, doi:10.1029/2005JA011414, 2006. (197) Djuth, F. T., B.W. Reinisch, D.F. Kitrosser, J.H. Elder, A. Lee Snyder, and G.S. Sales, Imaging HF-Induced irregularities above HAARP, Geophys. Res. Lett., 33(4), L04107, doi:10.1029/2005GL024536, 2006. (196) Garcia, L.N., J.L. Green, S.A. Boardsen, S.F. Fung, and B.W. Reinisch, Auroral kilometric radiation source region variations with season and solar cycle, in Planetary Radio Emissions VI, edited by H. O. Rucker, W.S. Kurth, and G. Mann, pp. 231-240, Austrian Academy of Sciences, Graz, Austria, 2006. (195) Galkin, I.A., G.M. Khmyrov, A. Kozlov, B.W. Reinisch, X. Huang, D.F. Kitrosser, Ionosonde networking, databasing, and web serving, Radio Sci., 41(5), RS5S33, doi:10.1029/2005RS003384, 2006. (194) Goncharenko, L., J. Salah, G. Crowley, L.J. Paxton, Y. Zhang, A. Coster, W. Rideout, C. Huang, S. Zhang, B. Reinisch, and V. Taran. (2006), Large variations in the thermosphere and ionosphere during minor geomagnetic disturbances in April 2002 and their association with IMF By, J. Geophys. Res., 111, A03303, doi:10.1029/2004JA010683. (193) Huang, X. and B.W. Reinisch, Real time HF raytracing through a tilted ionosphere, Radio Sci., 41(5), RS5S47, 10.1029/2005RS003378, 2006. (192) Lee, C.C. and B.W. Reinisch, Quiet-condition hmF2, NmF2, and B0 variations at Jicamarca and comparison with IRI-2001during solar maximum, J. Atmos. Solar-Terr Phys., 68, 2138-2146, 2006. (191) Mendillo, M., P. Withers, D. Hinson, H. Rishbeth, and B.W. Reinisch, Effects of solar flares upon the ionosphere of Mars, Science, 311(5764), 1135-1138, 2006. (190) Tu, J., P. Song, B.W. Reinisch, J. L. Green, and X. Huang, Empirical specification of field-aligned plasma density profiles for plasmasphere refilling, J. Geophys. Res., 111(A6), A06216, doi:10.1029/2005JA011582, 2006. (189) Zhang, M.-L., B.W. Reinisch, J.-K. Shi, S.-Z. Wu and X. Wang, Diurnal and seasonal variation of the ionogram-derived scale height at the F2 peak, Adv. Space Res., 37, 967-971, 2006. (188) Bernhardt, P.A., P.J. Erickson, F.D. Lind, J.C. Foster, and B.W. Reinisch, Artificial disturbances of the ionosphere over the Millstone Hill incoherent scatter radar during dedicated burns of the space shuttle OMS engines, J. Geophys. Res., 110(A5), A053011, doi:10.1029/2004JA010795, 2005. (187) Galkin, I.A., G.M. Khmyrov, A. Kozlov, B.W. Reinisch, J.C. Tilton, S.F. Fung, and A. Plaza, A pre-attentive vision model for data prospecting, CITSA Proc, vol. I, pp. 24-29, 2005. (186) Green, J.L., S. Boardsen, L. Garcia, W.W.L. Taylor, S.F. Fung, and B.W. Reinisch, On the origin of whistler mode radiation in the plasmasphere, J. Geophys. Res., 110(A3), A03201, doi:10.1029/2004JA010495, 2005. (185) Lee, C.-C., S-Y Su, and B.W. Reinisch, Concurrent study of bottomside spread F and bubble using digisonde and ROCSAT-1 in the equatorial ionosphere during solar maximum, Ann. Geophys., 23, 3473–3480, 2005. (184) Lee, C.-C., J.Y. Liu, B.W. Reinisch, W.S. Chen, and F.D. Chu, The effects of the pre-reversal ExB drift, EIA asymmetry, and magnetic activity on the equatorial spread F during solar maximum, Ann. Geophys., 23, 745-751, 2005. (183) Reinisch, B.W., Space-borne observations for short-term earthquake predictions, IEEE A&P Magazine, 47, 93-96, 2005. (182) Reinisch, B.W., X. Huang, I.A. 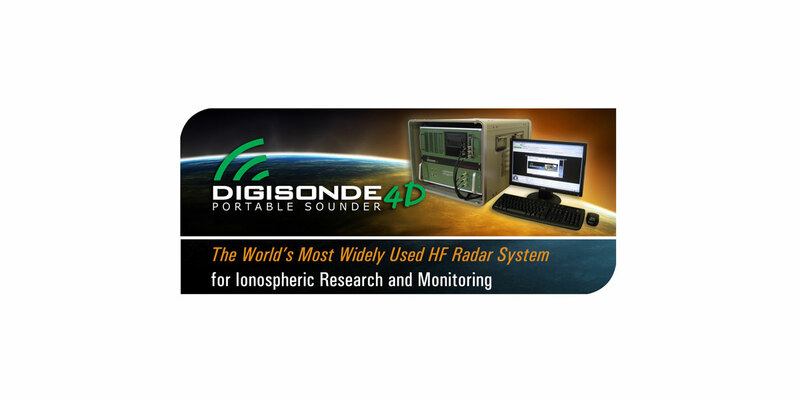 Galkin, V. Paznukhov, and A. Kozlov, Recent advances in real-time analysis of ionograms and ionospheric drift measurements with digisondes, J. Atmos. Solar-Terr. Physics, 67, 1054-1062, 2005. (181) Tu, J.-N., P. Song, B.W. Reinisch, X. Huang, J.L. Green, H.U. Frey, and P.H. Reiff, Electron density images of the middle and high latitude magnetosphere in response to the solar wind, J. Geophys. Res., 110(A12), A12210, doi:10.1029/2005JA011328, 2005. (180) Abdu, M.A., I.S. Batista, B.W. Reinisch, and A.J. Carrasco, Equatorial F-layer heights, evening prereversal electric field, and night E layer density in the American sector: IRI validation with observations, Adv. Space Res., 34, 1953-1965, 2004. (179) Anderson, D.B. Reinisch, C. Valladare, J. Chau, and O. Veliz, Forecasting the occurrence of ionospheric scintillation activity in the equatorial ionosphere on a day-to-day bases, J. Atmos. Solar-Terr. Phys., 66, 1567-1572, 2004. (178) Belehaki, A., B.W. Reinisch, and N. Jakowski, Plasmaspheric electron content derived from GPS TEC and digisonde ionograms, Adv. Spac. Res., 33, 833-837, 2004. (177) Benson, R.F., P.A. Webb, J.L. Green, L. Garcia, and B.W. Reinisch, Magnetospheric electron densities inferred from upper-hybrid band emissions, Geophys. Res. Lett., 31(20), L20803, doi:10.1029/2004GL020847, 2004. (176) Bilitza, D., K. Rawer, B. Reinisch (eds. ), Path Toward Improved Ionosphere Specification and Forecast Models, Advances in Space Research, Volume 33, Number 6, 2004. (175) Bilitza, D., X. Huang, B.W. Reinisch, R.F. Benson, H.K. Hills, and W.B. Schar, Topside ionogram scaler with true height algorithm (TOPIST): Automated processing of ISIS topside ionograms, Radio Sci., 39(1), RS1S27, doi:10.1029/2002RS002840, 2004. (174) Bradley, P.A. and B.W. Reinisch, Impact of COST 271, supplement to Ann. Geophys., Annali di Geofisica, 47(2/3), 1295-1299, 2004. (173) Galkin, I.A., B.W. Reinisch, X. Huang, R.F. Benson, and S.F. Fung, Automated diagnostics for resonance signature recognition on IMAGE/RPI plasmagrams, Radio Sci., 39(1), RS1015, doi:10.1029/2003RS002921, 2004. (172) Galkin, I., B.W. Reinisch, G. Grinstein, G. Khmyrov, A. Kozlov, X. Huang, and S.F. Fung, Automated exploration of the radio plasma imager data, J. Geophys. Res.,109(A12), A12210, doi:10.1029/2004JA010439, 2004. (171) Galkin, I.A., G.M. Khmyrov, B.W. Reinisch, J.C. Tilton, and S.F. Fung, Processing radio plasma imager plasmagrams utilizing hierarchical segmentation, Proc. NASA Earth Science Technology Conference (ESTC), pp. B8P3: 1-7, 2004. (170) Green, J.L., S. Boardsen, L. Garcia, S.F. Fung, and B.W. Reinisch, Seasonal and solar cycle dynamics of the AKR source region, J. Geophys. Res., 109(A5), A05223, doi:10.1029/2003JA010311, 2004. (169) Green, J.L. , S. Boardsen, S.F. Fung, H. Matsumoto, K. Hashimoto, R.R. Anderson, B. R. Sandel, and B.W. Reinisch, Association of kilometric continuum radiation with plasmaspheric structures , J. Geophys. Res., 109(A3), A03203, doi:10.1029/2003JA010093, 2004. (168) Green, J.L., T. Markus, S.F. Fung, R.F. Benson, B.W. Reinisch, P. Song, S.P. Gogineni, J.F. Cooper, W.W. L. Taylor, L. Garcia, and D.L. Gallagher, Radio sounding science at high powers, Proceedings from the 55th International Astronautical Congress, Vancouver, British Columbia, Canada, September 2004. (167) Huang, X., B.W. Reinisch, P. Song, P. Nsumei, J.L. Green, and D.L. Gallagher, Developing an empirical density model of the plasmasphere using IMAGE/RPI observations, Adv. Space Res., 33, 829-832, 2004. (166) Markus, T., L.L. Green, J.F. Cooper, S.F. Fung, W.W.L. Taylor, R.F. Benson, S.P. Gogineni, V.C. Ramasami, B.W. Reinisch, and P. Song, Ground penetrating radar simulations for jupiter's icy moons, Proc. 10th International Conference on Ground Penetrating Radar, pp. 789-792, 2004. (165) Reinisch, B., D. Bilitza, L.A. McKinnell (eds. ), IRI: Quantifying Ionospheric Variability, Advances in Space Research, Volume 34, Number 9, 2004. (164) Reinisch, B.W., X. Huang, P. Song, J.L. Green, S.F. Fung, V.M. Vasyliunas, D. L.Gallagher, and B.R. Sandel, Plasmaspheric mass loss and refilling as a result of a magnetic storm, J. Geophys. Res., 109(A1), A01202, doi:10.1029/2003JA009948, 2004. (163) Reinisch, B.W., X. Huang, A. Belehaki, J. Shi, M.L. Zhang, and R. Ilma, Modeling the IRI topside profile using scale heights from ground-based ionosonde measurements, Adv. Space Res., 34, 2026-2031, 2004. (162) Reinisch, B.W., Karl Rawer’s life and scientific achievements, Adv. Space Res., 34, 1845-1850, 2004. Also in Adv. Radio Sci., 2, 263-264, 2004. (161) Reinisch, B.W., I.A. Galkin, G. Khmyrov, A. Kozlov, and D.F. Kitrosser, Automated collection and dissemination of ionospheric data from the digisonde network, Adv. Radio Sci., 2, 241-247, 2004. (160) Reinisch, B.W., Huang X., A. Belehaki, and R. Ilma, Using scale heights derived from bottomside ionograms for modeling the IRI topside profile, Adv. Radio Sci., 2, 293-297, 2004. (159) Reinisch, B.W., Tenth international digisonde training seminar at UMass Lowell Reviews state of real time mapping of the ionosphere, IEEE A&P Magazine, 45, 110-117, 2004. (158) Reinisch, B.W., M. Abdu, I. Batista, G.S. Sales, G. Khmyrov, T.A. Bullett, J. Chau, and V. Rios, Multistation digisonde observations of equatorial spread F in south America, Ann. Geophys., 22, 3145-3153, 2004. (157) Song, P., B.W. Reinisch, and X. Huang, Magnetospheric active wave measurements, COSPAR Colloquia Series, 16, 235-246. 2004. (156) Tu, J.-N., J.L. Horwitz, P.A. Nsumei, P. Song, X. Huang, and B.W. Reinisch, Simulation of polar cap field-aligned electron density profiles measured with IMAGE radio plasma imanger, J. Geophys. Res., 109(A7), A07206, doi:10.1029/2003JA010310, 2004. (155) Belehaki, A.N. Jakowski, and B.W. Reinisch, Comparison of ionospheric ionization measurements over Athens using ground ionosonde and GPS derived TEC values, Radio Sci., 38(6), 1105, doi:10.1029/2003RS002868, 2003. (154) Benson, R.F., V.A. Osherovich, J. Fainberg, and B.W. Reinisch, Classification of IMAGE/RPI-stimulated plasma resonances for the accurate determination of magnetospheric electron-density and magnetic field values, J. Geophys. Res., 108(A5), 1207, doi:10.1029/2002JA009589, 2003. (153) Bilitza, D., B.W. Reinisch, R. Benson, J. Grebowsky, N. Papitashvili, X. Huang, W. Schar and K.K. Hills, Online data base of satellite sounder and insitu measurements covering two solar cycles, Adv. Space Res., 31, 769-774, 2003. (152) Bilitza, D., K. Rawer, B. Reinisch (eds. ), Description of the low latitude and equatorial ionosphere in the International Reference Ionosphere, Advances in Space Research, Volume 31, Number 3, 2003. (151) Carpenter, D.L., T.F. Bell, U.S. Inan, R.F. Benson, V.S. Sonwalkar, B.W. Reinisch, and D.L. Gallagher, Z-mode sounding within propagation "cavities" and other inner magnetospheric regions by the RPI instrument on the IMAGE satellite, J. Geophys. Res., 108(A12), 1421, doi:10.1029/2003JA010025, 2003. (150) Clilverd, M.A., F.W. Menk, G. Milinevski, B.R. Sandel, J. Goldstein, B.W. Reinisch, C.R. Wilford, M.C. Rose, N.R. Thomson, K.H. Yearby, G.J. Bailey, I.R. Mann, and D.L. Carpenter, In situ and ground-based intercalibration measurements of plasma density at L = 2.5, J. Geophys. Res., 108(A10), 1365, doi:10.1029/2003JA009866, 2003. (149) Cummer, S.A., J.L. Green, B.W. Reinisch, S.F. Fung, M.L. Kaiser, J.S. Pickett, I. Christopher, R. Mutel, D.A. Gurnett, and C.P. Escoubet, Advances in magnetospheric radio wave analysis and tomography, Adv. Space Res., 32, 329-336, doi:10.1016/S0273-1177(03)90271-7, 2003. (148) Fung, S.F., R.F. Benson, D.L. Carpenter, J.L. Green, V. Jayanti, I.A. Galkin, and B.W. Reinisch, Guided echoes in the magnetosphere: Observations by Radio Plasma Imager on IMAGE, Geophys. Res. Lett., 30(11), 1589, doi:10.1029/2002GL016531, 2003. (147) Galushko, V.G., V. S. Beley, A.V. Koloskov, Y. M.Yampolski, V.V. Paznukhov, B.W. Reinisch, J. Foster, and P. Erickson, Frequency-and-angular HF sounding and ISR diagnostics of TIDs, Radio Sci., 38(6), 1102, doi:10.1029/2002RS002861, 2003. (146) Garcia, L.N., S.F. Fung, J.L. Green, S. Boardsen, B.R. Sandel, and B.W. Reinisch, Observations of the latitudinal structure of plasmaspheric convection plumes by IMAGE-RPI and EUV, J. Geophys. Res., 108(A8), 1321, doi:10.1029/2002JA009496, 2003. (145) Goldstein, J., M. Spasojevic, P.H. Reiff, B.R. Sandel, W.T. Forrester, D.L. Gallagher, and B.W. Reinisch, Identifying the plasmapause in IMAGE EUV data using IMAGE RPI in situ steep density gradients, J. Geophys. Res., 108(A4), 1147, doi:10.1029/2002JA009475, 2003. (144) Green, J.L. and B.W. Reinisch, An overview of results from RPI, Space Sci. Rev., 109, 183-210, 2003. (143) Nsumei, P.A., X. Huang, B.W. Reinisch, P. Song, V.M. Vasyliunas, J.L. Green, S.F. Fung, R.F. Benson, and D.L. Gallagher, Electron density distribution over the northern polar region deduced from IMAGE/RPI sounding, J. Geophys. Res., 108(A2), 1078, doi:10.1029/2002JA009616, 2003. (142) Spasojevic, M., J. Goldstein, D.L. Carpenter, U.S. Inan, B.R. Sandel, M.B. Moldwin, and B.W. Reinisch, Global response of the plasmasphere to a geomagnetic disturbance, J. Geophys. Res., 108(A9), 1340, doi:10.1029/2003JA009987, 2003. (141) Tu, J.-N., J. Horwitz, P. Song, X. Huang, B. Reinisch, and P. Richards, Simulating plasmaspheric field-aligned density profiles measured with IMAGE/RPI: Effects of ion heating and refilling, J. Geophys. Res., 108(A1), 1017, doi:10.1029/2002JA009468, 2003. (140) Carpenter, D.L., M. Spasojevic, T.F. Bell, U.S. Inan, B.W. Reinisch, I.A. Galkin, R.F. Benson, J.L. Green, S.F. Fung, and S.A. Boardsen, Small-scale field-aligned plasmaspheric density structures inferred from RPI on IMAGE, J. Geophys. Res., 107(A9), 1258, doi:10.1029/2001JA009199, 2002. (139) Fesen, C.G., D.L. Hysell, J.W. Meriwether, M. Mendillo, B.G. Fejer, R.G. Roble, B.W. Reinisch, and M.A. Biondi, Modeling the low latitude atmosphere and ionosphere, J. Atmos. Solar-Terr. Phys, 64, 1337-1349, 2002. (137) Green, J.L., B.R. Sandel, S.F. Fung, D.L. Gallagher, and B.W. Reinisch, On the origin of kilometric continuum, J. Geophys. Res., 107(A7), 1105, doi:10.1029/2001JA000193, 2002. (136) Gulyaeva, T.L., X. Huang, and B.W. Reinisch, Plasmaspheric extensions of topside electron density profiles, Adv. Space Res., 29, 825-831, 2002. (135) Gulyaeva, T.L., X. Huang, and B.W. Reinisch, Ionosphere-plasmasphere model software for ISO, Acta Geodaetica Geophysica Hungarica, 37, 143-152, 2002. (134) Henize, V.K., P.H. Reiff, B.W. Reinisch, S.F. Fung, J.L. Green, and J. Goldstein, Magnetospheric cusp observations using the IMAGE satellite Radio Plasma Imager, Adv. Space Res., 30, 2267-2272, 2002. (133) Huang, X., B.W. Reinisch, D. Bilitza, and R.F. Benson, Electron density profiles of the topside ionosphere, Annali di Geofisica, 45, 125-130, 2002. (132) Lee, C.C., J.Y. Liu, B.W. Reinisch, Y. Lee, and L. Liu, The Propagation of traveling atmospheric disturbances observed during the April 6-7, 2000 ionospheric storm, Geophys. Res. Lett., 29(5), 1068, doi:10.1029/2001GL013516, 2002. (131) Rawer, K., D. Bilitza, B. Reinisch (eds. ), Modelling the topside ionosphere and plasmasphere, Advances in Space Research, Volume 29, Number 6, 2002. (130) Stephan, A.W., M. Colerico, M. Mendillo, B.W. Reinisch, and D. Anderson, Suppression of equatorial spread F by sporadic E, J. Geophys. Res., 107(A2), 1021, doi:10.1029/2001JA000162, 2002. (129) Burch, J.L., S.B. Mende, D.G. Mitchell, T.E. Moore, C.J. Pollock, B.W. Reinisch, B.R. Sandel, S.A. Fuselier, D.L. Gallagher, J.L. Green, J.D. Perez, and P.H. Reiff, Views of the Earth’s magnetosphere with the IMAGE satellite, Science, 291(5504), 619-624, 2001. (128) Cummer, S.A., M.J. Reiner, B.W. Reinisch, M.L. Kaiser, J.L. Green, R.F. Benson, and R. Manning, and K. Goetz, A test of magnetospheric radio tomographic imaging with IMAGE and WIND, Geophys. Res. Lett., 28, 1131-1134, doi:10.1029/2000GL012683, 2001. (127) Huang, X. and B.W. Reinisch, Vertical electron content from ionograms in real time, Radio Sci., 36, 335-342, 2001. (126) Huang, X., B.W. Reinisch, and D. Bilitza, IRI in Windows environment. Adv. Space Res., 27, 127-131, 2001. (125) Rawer, K., D. Bilitza, B. Reinisch (eds. ), International Reference Ionosphere - Workshop 1999, Advances in Space Research, Volume 27, Number 1, 2001. (124) Reinisch, B.W., D.M. Haines, G.S. Sales, R.F. Benson, J.L. Green, and W.W.L. Taylor, Radio sounding in space: magnetosphere and topside ionosphere, J. Atmos. Solar-Terr. Phys., 63, 87-98, 2001. (123) Reinisch, B.W. and X. Huang, Deducing topside profiles and total electron content from bottomside ionograms, Adv. Space Res., 27, 23-30, 2001. (122) Reinisch, B.W., X. Huang, D.M. Haines, I.A. Galkin, J.L. Green, R.F. Benson, S.F. Fung, W.W.L. Taylor, P.H. Reiff, D.L. Gallagher, J.-L. Bougeret, R. Manning, D.L. Carpenter, and S.A. Boardsen, First results from the Radio Plasma Imager on IMAGE, Geophys. Res. Lett., 28, 1167-1170, 2001. (121) Reinisch, B.W., X. Huang, P. Song, G.S. Sales, S.F. Fung, J.L.Green, D.L. Gallagher, and V.M. Vasyliunas, Plasma density distribution along the magnetospheric field: RPI observations from IMAGE, Geophys. Res. Lett., 28, 4521-4524, 2001. (120) Wang, W., T.L. Killeen, A.G. Burns, and B.W. Reinisch, A real-time model-observation comparison of F2 peak electron densities during the Upper Atmospheric Research Collaboratory Campaign of October 1997, J. Geophys. Res., 106, 21,077-21,082, 2001. (119) Bilitza, D., S.M. Radicella, B.W. Reinisch, I.O. Adeniyi, M.M. Gonzales, S.R. Zhang, and O. Obrou, New B0 and B1 models for IRI, Adv. Space Res., 25, 89-95, 2000. (118) Crowley, G., A.J. Ridley, D. Deist, S. Wing, D.J. Knipp, B.A. Emery, J. Foster, R. Heelis, M. Hairston, and B.W. Reinisch, Transformation of high-latitude ionospheric F-region patches into blobs during the March 21, 1990 storm, J. Geophys. Res., 105, 5215-5230, 2000. (117) Fung, S.F., R.F. Benson, D.L. Carpenter, B.W. Reinisch, and D.L. Gallagher, Investigations of irregularities in remote plasma regions by radio sounding: Applications of the Radio Plasma Imager on IMAGE, Space Sci. Rev., 91, 391-419, 2000. (116) Green, J.L, R.F. Benson, S.F. Fung, W.W.L. Taylor, S.A. Boardsen, and B.W. Reinisch, Radio imaging in the Earth’s magnetosphere, in Radio Astronomy at Long Wavelengths, Geophys. Monogr. Ser., vol. 119, edited by Robert G. Stone, Kurt W. Weiler, Melvyn L. Goldstein, and Jean-Louis Bougeret, pp. 359-372, AGU, Washington, D.C., 2000. (115) Green, J.L., R.F. Benson, S.F. Fung, W.W.L. Taylor, S.A. Boardsen, B.W. Reinisch, D. M. Haines, K. Bibl, G. Cheney, I.A Galkin, X. Huang, S.H. Myers, G.S. Sales, J.-L. Bougeret, R. Manning, N. Meyer-Vernet, M. Moncuquet, D.L. Carpenter, D.L. Gallagher, and P.H. Reiff, Radio Plasma Imager simulations and measurements, Space Sci. Rev., 91, 361-389, 2000. (114) Huang, X. and B.W. Reinisch, Multiple quasi-parabolic presentation of the IRI profile, Adv. Space Res., 25, 129-132, 2000. (113) Igarashi, K., J.L. Scali, H. Minakoshi, and B.W. Reinisch, Pacific region equatorial anomaly studies in Asia (PREASA): Part 1 Introduction and overview of the program, Adv. Space Res., 26, 1241-1250, 2000. (112) Reinisch, B.W., D.M. Haines, I.A. Galkin, J.L. Green, R.F. Benson, W.W.L. Taylor, and J.L. Burch, The IMAGE mission and first observations from the radio plasma imager, Proc. 5th International Symposium on Antennas, Propagation and EM Theory, pp. 474-478, 2000. (111) Reinisch, B.W., D.M. Haines, I.A. Galkin, X. Huang, G. Sales, J.L. Green, R.F. Benson, S.F. Fung, W.W.L. Taylor, J.L. Bougeret, R. Manning, P.H. Reiff, D.L. Carpenter, and D.L. Gallagher, First magnetospheric echo traces from the Radio Plasma Imager on IMAGE, Kinematics and Physics of Celestial Bodies, 16, 8-12, 2000. (110) Reinisch, B.W. and X. Huang, Redefining the IRI F1 layer profile, Adv. Space Res., 25, 81-88, 2000. (109) Reinisch, B.W., D.M. Haines, K. Bibl, G. Cheney, I.A. Galkin, X. Huang, S.H. Myers, G. S. Sales, R.F. Benson, S.F. Fung, J.L. Green, S. Boardsen, W.W.L. Taylor, J.-L. Bougeret, R. Manning, N. Meyer-Vernet, M. Moncuquet, D.L. Carpenter, D.L. Gallagher, and P.H. Reiff, The Radio Plasma Imager investigation on the IMAGE spacecraft, Space Sci. Rev., 91, 319-359, 2000. (108) Reinisch, B.W., Radio Sounding of geospace plasmas, Fisica de la Tierra, 12, 105-126, 2000. (107) Richards, P.G., M.J. Buonsanto, B.W. Reinisch, J. Holt, J.A. Fennelly, J.L. Scali, R.H. Comfort, G.A. Germany, J. Spann, M. Brittnacher, F.K. Parks, and M.-C. Fok, On the relative importance of convection and temperature on the behavior of the ionosphere in North America during Jan, 6-12, 1997, J. Geophys Res., 105, 12763-12776, 2000. (106) Sales, G.S., B.W. Reinisch, V. Paznukhov, and D.L. Hysell, Equatorial bubble development and the source of satellite scintillations, in Proc. 10th International Symposium on Equatorial Aeronomy, 2000. (105) Aarons, J., M. Mendillo, B. Lin, M. Colerico, T. Beach, P. Kintner, J. Scali, B. Reinisch, G. Sales, and E. Kudeki, Equatorial F region irregularity morphology during an equinoctial month at solar minimum, Space Sci. Rev., 87, 357-386, 1999. (104) Buonsanto, M.J., S.A. Gonzalez, G. Lu, B.W. Reinisch, and J.P. Thayer, Coordinated incoherent scatter radar study of the January, 1997 Storm, J. Geophys. Res., 104, 24,625-24,637, 1999. (103) Galkin, I.A., D.F. Kitrosser, Z. Kecic, and B. W Reinisch, Internet access to ionosondes, J. Atmos. Solar-Terr. Phys. 61, 181-186, 1999. (102) Huang, X. and B.W. Reinisch, Multiple quasi-parabolic presentation of the IRI profile, Adv. Space Res., 25, 129-132, 1999. (101) Reinisch, B.W., G.S. Sales, D.M. Haines, S.F. Fung, and W.W.L. Taylor, Radio wave active Doppler imaging of space plasma structures: Arrival angle, wave polarization, and Faraday rotation measurements with the radio plasma imager, Radio Sci., 34(6), 1513–1524, doi:10.1029/1999RS900075, 1999. (100) Anderson, D.N., M.J. Buonsanto, M. Codrescu, D. Decker, C.G. Fesen, T.J. Fuller-Rowell, B.W. Reinisch, P.G. Richards, R.G. Roble, R.W. Schunk, and J.J. Sojka, Intercomparison of physical models and observations of the ionosphere, J. Geophys. Res., 103, 2179-2192, 1998. (99) Benson, R.F., B.W. Reinisch, J.L. Green, S.F. Fung, D.L. Gallagher, W. Calvert, D.M. Haines, P.H. Reiff, J.-L. Bougeret, R. Manning, W.W.L. Taylor, and D.L. Carpenter, Magnetospheric radio sounding on the IMAGE mission, Radio Sci. Bulletin, 285, June 1998. (98) Green, J.L., W.W.L. Taylor, S.F. Fung, R.F. Benson, W. Calvert, B. Reinisch, D.L. Gallagher, and P.H. Reiff, Radio remote sensing of magnetospheric plasmas, in Measurement Techniques in Space Plasmas: Fields, Geophys. Monogr. Ser., vol. 103, 193-198, AGU, Washington, D.C., 1998. (97) Reinisch, B.W. and X. Huang, Finding better B0 and B1 parameters for the IRI F2-profile function, Adv. Space Res., 22, 741-747, 1998. (96) Reinisch, B.W., J.L. Scali, and D.M. Haines, Ionospheric drift measurements with ionosondes, Annali di Geofisica, 41, 695-702, 1998. (95) Reinisch, B.W., "CHARS": URSI IIWG format for archiving monthly ionospheric characteristics, INAG Bulletin, No. 62, pp. 38-46, WDC-A for STP, Boulder, CO, 1998. (94) Reinisch, B.W., SAO (Standard ADEP Output) format for ionogram scaled data archiving, INAG Bulletin, No. 62, pp. 47-58, WDC-A for STP, Boulder, CO, 1998. (93) Radicella, S.M., D. Bilitza, B.W. Reinisch, J.O. Adeniyi, M.E. Mosert-Gonzalez, B. Zolesi, M. L. Zhang, and S.R. Zhang, IRI task force activity at ICTP: Proposed improvements for the IRI region below the F peak, Adv. Space Res., 22, 731-739, 1998. (92) Valladares, C.E., R. Sheehan, D.T. Decker, D.N. Anderson, T. Bullett, and B.W. Reinisch, Formation of polar cap patches with north-to-south transitions of the interplanetary magnetic field, J. Geophys. Res., 103, 14,657-14,670 1998. (91) Calvert, W., R.F. Benson, D.L. Carpenter, S.F. Fung, D.L. Gallagher, J.L. Green, D.M. Haines, P. H. Reiff, B.W. Reinisch, M.F. Smith, and W.W.L. Taylor, Reply to Greenward, Radio Sci., 32, 281-284, 1997. (90) Haines, D.M., B.W. Reinisch, and G.P. Cheney, Simultaneous oblique sounding with Doppler analysis and LPI communications using digital ionosondes, Radio Sci., 32, 2065-2073, 1997. (89) Miller, C.A., W.E. Swarts, M.C. Kelley, M. Mendillo, D. Nottingham, J.L. Scali, and B.W. Reinisch, Electrodynamic of midlatitude spread F, 1, Observations of unstable, gravity wave-induced ionospheric electric fields at tropical latitudes, J. Geophys. Res., 102, 11,521-11,532, 1997. (88) Mendillo, M., J. Baumgardner, D. Nottingham, J. Aarons, B.W. Reinisch, J.L. Scali, and M. Kelley, Investigations of thermospheric-ionospheric dynamics with 6300-Å images from the Arecibo Observatory, J. Geophys. Res., 102, 7331-7343, 1997. (87) Reinisch, B.W., D.M. Haines, K. Bibl, I.A. Galkin, X. Huang, D.F. Kitrosser, G.S. Sales, and J. L. Scali, Ionospheric sounding support of OTH radar, Radio Sci., 32, 1681-1694, 1997. (86) Scali, J.L. and B.W. Reinisch, Geomagnetic storm time studies using Digisonde data, Adv. Space Res., 20, 1679-1688, 1997. (85) Scali, J.L., B.W. Reinisch, M.C. Kelley, C.A. Miller, W.E. Swartz, Q.H. Zhou, and S. Radicella, Incoherent scatter radar and digisonde observations at tropical latitudes, including conjugate point studies, J. Geophys. Res., 102, 7357-7367, 1997. (84) Scali, J.L., B.W. Reinisch, P.G. Richards, Q. Zhou, M. Sulzer, and W.E. Swartz, Comparison of incoherent scatter radar and digisonde measurements with FLIP modeled results at middle and low latitudes, J. Geophys. Res., 102, 7345-7355, 1997. (83) Colerico, M., M. Mendillo, D. Nottingham, J. Baumgardner, J. Meriwether, J. Mirick, B.W. Reinisch, J.L. Scali, C.G. Fesen, and M.A. Biondi, Coordinated measurements of F region dynamics related to the thermospheric midnight temperature maximum, J. Geophys. Res., 101, 26,783-26,793, 1996. (82) Galkin, I.A., B.W. Reinisch, G.A. Osokov, E.G. Zazobina, and S.P. Neshyba, Feedback neural networks for ARTIST ionogram processing, Radio Sci., 31, 1119-1128, 1996. (81) Huang, X. and B.W. Reinisch, Vertical electron density profiles from the digisonde network, Adv. Space Res., 18, 121-129, 1996. (80) Huang, X. and B.W. Reinisch, Vertical electron density profiles from digisonde ionograms. The average representative profile, Annali di Geofisica, Vol. XXXIX, No.4, 751-756, 1996. (79) Huang, X., B.W. Reinisch, and W.S. Kuklinski, Mid-point electron density profiles from oblique ionograms, Annali di Geofisica, Vol. XXXIX, No.4, 757-761, 1996. (78) Reinisch, B.W. and X. Huang, The F1 ledge: density, height and slope, Annali di Geofisica, Vol. XXXIX, No. 4, 825-830, 1996. (77) Reinisch, B.W., Ionosonde, in Upper Atmosphere, edited by Dieminger, W., Hartmann, G. K., Leitinger, Springer, 370-381, 1996. (76) Reinisch, B.W., Modern Ionosondes, in Modern Ionospheric Science, edited by H. Kohl, R. Ruster, and K. Schlegel, European Geophysical Society, 37191 Katlenburg-Lindau, Germany, pp. 440-458, 1996. (75) Reinisch, B.W. and X. Huang, Low latitude digisonde measurements and comparison with IRI, Adv. Space Res., 18, 5-12, 1996. (74) Reinisch, B.W. and X. Huang, The F1 region at 170 km, Adv. Space Res.,18, 153-156, 1996. (73) Sales, G.S., B.W. Reinisch, J.L. Scali, C. Dozois, T.W. Bullett, E.J. Weber, and P. Ning, Spread-F and the structure of equatorial ionization depletions in the southern anomaly region, J. Geophys. Res., 101, 26,819-26,827, 1996. (72) Calvert, W.R., F. Benson, D.L. Carpenter, S.F. Fung, D.L. Gallagher, J.L. Green, D. M. Haines, P.H. Reiff, B.W. Reinisch, M.F. Smith, and W.W.L. Taylor, The feasibility of radio sounding in the magnetosphere, Radio Sci., 30, 1577-1595, doi:10.1029/95RS01731, 1995. (71) McNamara, L.F. and B.W. Reinisch, Observations of the mid-latitude F1 region, Adv. Space Res., 15, 67-75, 1995. (70) Reinisch, B.W., The digisonde network and databasing, World Data Center A for Solar-Terrestrial Physics, Report UAG-104, Ionosonde Networks and Stations, pp. 8 - 15, 1995. (69) Reinisch, B.W., T.W. Bullett, J.L. Scali, and D.M. Haines, High latitude digisonde measurements and their relevance to IRI, Adv. Space Res., 16, 17-26, 1995. (68) Reinisch, B.W., From whistler observations to the digisonde network, Adv. Space Res., 15, 11-16, 1995. (67) Scali, J. L. and B.W. Reinisch, F-Region drift velocities in the dusk sector mid-latitude trough, J. Atmos. Terr. Phys., 57, 1045-1056, 1995. (66) Scali, J.L., B.W. Reinisch, C.J. Heinselman, and T. Bullett, Coordinated digisonde and incoherent scatter radar F region drift measurements at Sondre Stromfjord, Radio Sci., 30, 1481-1498, 1995. (65) Thayer, J.P., G. Crowley, R.J. Niciejewski, T.L. Killeen, J. Buchau, and B.W. Reinisch, Ground-based observations of ion/neutral coupling at Thule and Qanaq, Greenland, J. Geophys. Res., 100, 12,189-12,199, 1995. (64) Chen, C.F., B.W. Reinisch, J.L. Scali, X. Huang, R.R. Gamache, M.J. Buonsanto, and B. D. Ward, The accuracy of ionogram-derived N(h) profiles, Adv. Space Res., 14, 43 - 46, 1994. (63) Reiff, P.H., J.L. Green, R.F. Benson, D.L. Carpenter, W. Calvert, S.F. Fung, D.L. Gallagher, Y. Omura, B.W. Reinisch, M.F. Smith, and W.W.L. Taylor, Remote sensing of substorm dynamics via radio sounding, in Substorms 2, Proceedings of the Second international Conference on Substorms, edited by J. R. Kan, J. D. Craven, and S.-I. Akasofu, 281-287, University of Alaska Press, Fairbanks, AK, 1994. (62) Reiff, P.H., J.L. Green, R.F. Benson, D.L. Carpenter, W. Calvert, S.F. Fung, D.L. Gallagher, B.W. Reinisch, M.F. Smith, and W.W.L. Taylor, Radio imaging of the magnetosphere, EOS Transactions, AGU Union, Vol. 85, No. 11, 133-134, 1994. (61) Reinisch, B.W., D. Anderson, R.R. Gamache, X. Huang, C.F. Chen, and D.T. Decker, Validating ionospheric models with measured electron density profiles, Adv. Space Res., 14, 67-70, 1994. (60) Reinisch, B.W. and C.F. Chen, New inputs to IRI from the worldwide digisonde network, Adv. Space Res., 14, 27-36, 1994. (59) Richards, P.G., D.G. Torr, B.W. Reinisch, R.R. Gamache, and P.J. Wilkinson, F2 Peak electron density at Millstone Hill and Hobart: Comparison of theory and measurements at solar maximum, J. Geophys. Res., 99, 15,005-15,016, 1994. (58) Wan, Wei-xing, Jun Li, Zhao-ming Zhang, and B.W. Reinisch, Study of ionospheric gravity wave disturbances from drift measurements of a digisonde, Chinese Journal of Geophys., 37(1), 1994. (57) Crowley, G., H.C. Carlson, S. Basu, W.F. Denig, J. Buchau, and B.W. Reinisch, The dynamic ionospheric polar hole, Radio Sci., 28, 401-413, 1993. (56) Reinisch, B.W., X. Huang, and G.S. Sales, Regional ionospheric mapping, Adv. Space Res., 13, 45-48, 1993. (55) Cannon, P.S., G. Crowley, B.W. Reinisch, and J. Buchau, Digisonde measurements of polar cap convection for northward interplanetary magnetic field, J. Geophys. Res., 97, 16877, 1992. (54) Cannon, P. S., B.W. Reinisch, and J. Buchau, Interplanetary magnetic field directions deduced by digisonde measurements, Proc. of the Solar-Terrestrial Predictions Workshop, Vol. 3, 421-427, 1992. (53) Cannon, P. S., J. Buchau, and B.W. Reinisch, Interplanetary magnetic field directions inferred from digisonde measurements of the convection flow direction over the polar cap, IEE Colloquium on High Latitude Ionospheric Propagation, pp. 7/1 - 7/, 1992. (52) Crowley, G., P.S. Cannon, C.G. Dozois, B.W. Reinisch, and J. Buchau, Polar cap convection for Bz northward, Geophys. Res. Ltrs., 19, 657-660, 1992. (51) Haines, D.M. and B.W. Reinisch, Angle of arrival characteristics of ionospheric skywave signals, Proc. AGARD EPP 50th Symposium, No. 502, London, England, 1992. (50) Reinisch, B.W., X. Huang, and G.S. Sales, Regional ionospheric nowcasting, Proc. of the Solar-Terrestrial Predictions Workshop, Vol. 3, 537-543, 1992. (49) Reinisch, B.W., D.M. Haines, and W.S. Kuklinski, The new portable digisonde for vertical and oblique sounding, Proc. AGARD EPP 50th Symposium, No. 502,, 11-1 to 11-11, 1992. (48) Buchau, J. and B.W. Reinisch, Electron density structures in the polar F region, Adv. Space Res., 11, 29-37, 1991. (47) Cannon, P.S., B.W. Reinisch, J. Buchau, and T.W. Bullett, Response of the polar cap F region convection direction to changes in the interplanetary magnetic field: digisonde measurements in northern Greenland, J. Geophys. Res., 96, 1239-1250, 1991. (46) Chen, C., B.D. Ward, B.W. Reinisch, M.J. Buonsanto, and R.R. Gamache, Ionosonde observations of the E-F valley and comparison with incoherent scatter radar profiles, Adv. Space Res, 11, 89-92, 1991. (45) Gamache, R.R. and B.W. Reinisch, Databasing of scientific data, Proceedings of the Workshop on Geophysical Informatics, WDC-A Report UAG-99, 102-108, 1991. (44) Reinisch, B.W., Ionospheric informatics working group of URSI commission G, Proc. of the Workshop on Geophysical Informatics, WDC-A Report UAG-99, 275-280, 1991. (43) Reinisch, B.W., L.F. McNamara, T.W. Bullett, and R.R. Gamache, Statistical studies of the N(h) profile of the ionosphere using automatically scaled digital ionograms, Adv. Space Res., 11, 81-87, 1991. (42) Reinisch, B.W., R.R. Gamache, and L.G. Bossy, Ionospheric characteristics for IRI in real time, Adv. Space Res., 10, 25-34, 1990. (41) Reinisch, B.W., A. Ya. Feldstein, and H. Sizun, Digital ionogram data, Adv. Space Res., 10, 127-130, 1990. (40) Haines, D.M., D.F. Kitrosser, B.W. Reinisch, and F.J. Gorman, A portable ionosonde in support of reliable communications, Proc. AGARD EPP Symposium, No. 453, 1989. (39) Lin, K.H., K.C. Yeh, H. Soicher, B.W. Reinisch, and R.R. Gamache, Vertical ionograms and dispersive bandwidth for an oblique path, Radio Sci., 24, 519-526, 1989. (38) Reinisch, B.W., K. Bibl, D. F. Kitrosser, G.S. Sales, J.S. Tang, Z.M. Zhang, T.W. Bullett, and J.A. Ralls, The Digisonde 256 ionospheric sounder, World Ionosphere/Thermosphere Study, WITS Handbook, Vol. 2, Ed. by C. H. Liu, 1989. (37) Basu, S., Su. Basu, C.E. Valladares, E.J. Weber, J. Buchau, G.J. Bishop, and B.W. Reinisch, Coordinated observations of high latitude ionospheric turbulence, Physics of Space Plasmas, SPI Conference Proceedings and Reprint Series, 8, 137-151, 1988. (36) Bossy, L., R.R. Gamache, and B.W. Reinisch, Lay-functions for F2 profiles, Adv. Space Res., 8, 201-204, 1988. (35) Buchau, J., B.W. Reinisch, D.N. Anderson, E.J. Weber, and C.G. Dozois, Polar cap plasma convection measurements and their relevance to the real time modeling of the high latitude ionosphere, Radio Sci., 23, 521-536, 1988. (34) Rawer, K., T.L. Gulyaeva, and B.W. Reinisch, (Editors), Ionospheric informatics, Adv. Space Res., 8, 4, 1988. (33) Reinisch, B.W., D.F. Kitrosser, and Z.M. Zhang, Real time ionospheric parameters and their display, Proc. of the Int. Symp. on Radio Propagation, ISRP 88, pp. 169, Beijing, PRC, 1988. (32) Reinisch, B.W., R.R. Gamache, X. Huang, and L.F. McNamara, Real time electron density profiles from ionograms, Adv. Space Res.,8, 63-72, 1988. (31) Reinisch, B.W., J. Buchau, K. Bibl, and G.S. Sales, Multistation/multiparameter observations with a network of digital ionosondes, Proc. AGARD EPP Symposium No. 441, 1-9, 1988. (30) McNamara, L. F., B.W. Reinisch, and J.S. Tang, Values of hmF2 deduced from automatically scaled ionograms, Adv. Space Res., 7, 53-56, 1987. (29) Reinisch, B.W., J. Buchau, and E.J. Weber, Digital ionosonde observations of the polar cap F region convection, Physica Scripta, 36, 372-377, 1987. (28) Reinisch, B.W., New techniques in ground-based ionospheric sounding and studies, Radio Sci., 21, 331-341, 1986. (27) Ahmed, M., G.S. Sales, and B.W. Reinisch, Frequency management of a long-range HF communication link US-UK observational data, Proc. of the IEEE MILCOM Conference, pp.289-292, 1985. (26) Buchau, J., B.W. Reinisch, D.N. Anderson, E.J. Weber, J.G. Moore, and R.C. Livingston, Ionospheric structures in the polar cap: Their origin and relation to 250 MHz scintillation, Radio Sci., 20, 325-338, 1985. (25) Reinisch, B.W., M. Ahmed, K. Bibl, H. Soicher, F. Gorman, J.D. Jodogne, L. Bossy, J. King, and J. Gilbert, A transatlantic digital HF radio link experiment, Proc. of the Ionospheric Effects Symposium, 111-122, 1984. (24) Weber, E.J., J. Buchau, J.G. Moore, J.R. Sharber, R.C. Livingston, B.W. Reinisch, and J. D. Winningham, F-layer ionization patches in the polar cap, J. Geophys. Res., 89, 1683-1694, 1984. (23) Buchau, J., B.W. Reinisch, E.J. Weber, and J.G. Moore, Structure and dynamics of the winter polar cap F region, Radio Sci., 18, 995-1010, 1983. (22) Reinisch, B.W. and X. Huang, Automatic Calculation of electron density profiles from digital ionograms, 3, Processing of bottomside ionograms, Radio Sci., 18, 477-492, 1983. (21) Huang, X. and B.W. Reinisch, Automatic calculation of electron density profiles from digital ionograms. 2. True height inversion of topside ionograms with the profile-fitting method, Radio Sci., 17, 837-844, 1982. (20) Reinisch, B.W. and X. Huang, Automatic calculation of electron density profiles from digital ionograms. 1. Automatic O and X trace identification for topside ionograms, Radio Sci., 17, 421-434, 1982. (19) Mathwich, H.R., D.E. Aubert, A.F. Martz, K. Bibl, B.W. Reinisch, and D. Lewis, An advanced mission to map the worldwide topside ionosphere, Proceedings Effect of the Ionosphere on Radiowave Systems, 1981. (18) Reinisch, B.W., J. Tang, and X. Huang, Seasonal variations in the auroral ionosphere, Proc. of Symposium on the Effect of the Ionosphere on Radiowave Systems, 1981. (17) Reinisch, B.W., S. Smith, J. Buchau, and W.N. Hall, Remote ionospheric monitoring, Proceedings of Symposium on the Effect of the Ionosphere on Space and Terrestrial Systems, 1978. (16) Bibl, K. and B.W. Reinisch, The universal digital ionosonde, Radio Sci., 13, 519-530, 1978. (15) Reinisch, B.W. and K. Bibl, Digital preprocessing, onlLine processing and display of multiparameter transmission data, Proceedings of the International Symposium on Measurements in Telecommunications, pp. 206, 1977. (14) Bibl, K., W. Pfister, B.W. Reinisch, and G.S. Sales, Velocities of small and medium scale ionospheric irregularities deduced from Doppler and arrival measurements, COSPAR, Space Research XV, 405-411, 1975. (13) Philbrick, C.R., D. Golomb, S.P. Zimmerman, T.J. Keneshea, M.A. MacLeod, B.W. Reinisch, R.E. Good, and B.S. Dandekar, The ALADDIN II Experiment - Part II, Composition (Preliminary Results), COSPAR, Space Research XIV, 89-95, 1974. (12) Reinisch, B.W. and G.S. Sales, Multifrequency, long-wave, vertical sounding of the lower ionosphere, COSPAR, Proceedings of the Constance Symposium on Methods and Measurements and Results of Lower Ionosphere Structure, pp.139-145, 1974. (11) Reinisch, B.W., Digital data presentation for spheric analysis, Proceedings of the Waldorf Conference on Long-Range Geographic Estimation of Lightning Sources; NRL Report 7763, pp.51-62, 1974. (10) Patenaude, J., K. Bibl, and B.W. Reinisch, Direct digital graphics, the display of large data fields, American Laboratory, pp.95-101, 1973. (9) Philbrick, R., R.S. Narcisi, R.E. Good, B.W. Reinisch, S. Hoffman, T.J. Keneshea, M.A. MacLeod, and S.P. Zimmerman, The ALADDIN (Atmospheric Layering and Density Distribution of Ions and Neutrals) Experiment - Part II, Composition, COSPAR, Space Research XIII, 441-449, 1973. (8) Reinisch, B.W., Burnt-out rocket punches hole into ionosphere, COSPAR, Space Research XIII, 503-506, 1973. (7) Reinisch, B.W., Second order phase path calculations for transionospheric propagation, Proceedings of the Symposium on the Future Application of Satellite Beacon Experiments, pp.27/1-27/6, 1970. (6) Reinisch, B.W. and K. Bibl, Differential refraction measurement for monitoring the columnar electron content, Proceedings of the Symposium on the Future Application of Satellite Beacon Experiments, pp. 27/1-27/9, 1970. (5) Bibl, K., J. Buchau, R. Gowell, and B.W. Reinisch, Digital data processing in ionospheric sounding, Environmental Research Paper, AFCRL-68-0664, 1968. (4) Reinisch, B.W. and K. Bibl, Contribution of the D and E region to absorption at 2.35 MHz, in Ground Based Radio Wave Propagation Studies of the Lower Ionosphere, compiled by J. S. Belrose, I. A. Bourne and L. W. Hewitt; ed. by Defense Research Board, Department of National Defense, Canada, pp.627-629, 1967. (3) Reinisch, B.W., Die Bedeutung von Eechoes an der sporadischen E-Schicht bei Impuls-Fernübertragung über 1700 km (Athens-Breisach), A.E.Ü., 19, 361-366, 1965. (2) Reinisch, B.W., Eine Möglichkeit der schnellen Analyse von Whistlers, Kleinheubacher Bericht No. 10, 81-84, 1965. (1) Reinisch, B.W., J. Buchau, K. Jacobs, P. Kaiser, and K. Rawer, Simultaneous measurement of ionospheric plasma Density by three different methods, in COSPAR Panel on Polar Cap Experiments, Academic Press, London, (B. Maehlum, editor), pp.55-62, 1965.